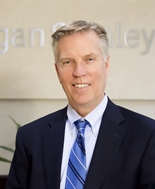 For 36 years, Allan Duff has been serving clients at Morgan Stanley. In that time Allan has taken many clients from early in their careers clear through retirement, helping to plan their investment portfolio for growth and then to produce their retirement income. The focus has always been on a conservative approach to investing, portfolio allocations and investment management. His primary approach to investing is first, preservation of capital, second growth and income, and finally tax efficiency strategies. Allan received a Bachelor of Science degree from California State University at Los Angeles in Business Management and Finance in 1979. He also graduated from an Executive Education Program at the Wharton School of Business at the University of Pennsylvania in 1993. He taught at Clark County Community College as Adjunct Faculty from 1984 through 1987. He has his Insurance licenses in Nevada, Utah and Arizona since 1980. 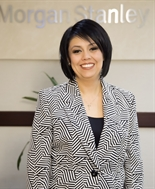 Allan was manager of the Summerlin Morgan Stanley office from 1994 through 1998 and is currently a Senior Vice President and Wealth Advisor. He is also qualified to assist with Rule 144 Restricted Stock and exercise of employee stock options. Allan’s son Warren joined him in 2005 and they now work in a team with all their clients. Allan and his wife Joanne have been married for 40 years, have 4 children and 14 grandchildren. He served as president of the Nevada Camera Club for 2 years, is a member of the BYU Management Society and the Century Club of the Las Vegas Area Council of the Boy Scouts of America. 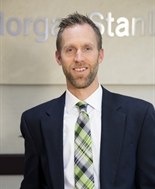 For over 13 years Warren Duff has been a financial advisor with Morgan Stanley, working with clients toward achieving their financial goals. Warren believes that success in investing begins with a valued relationship between client and financial advisor. 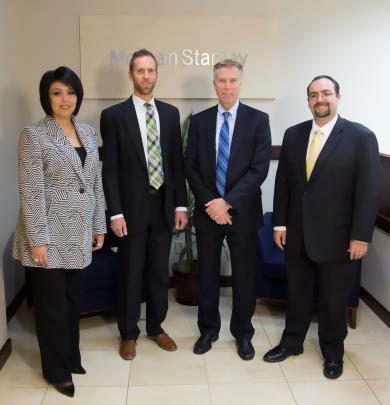 Warren employs a conservative approach to investing through asset allocation and diversification helping clients realize their financial goals throughout their lives and most importantly throughout retirement. Warren received his Bachelor of Arts degree from Southern Utah University in Economics. He also received a minor in Spanish language. Warren and his wife Heather have been married for 14 years and have two children. He is also active in the community working with youth in the Boy Scouts of America.